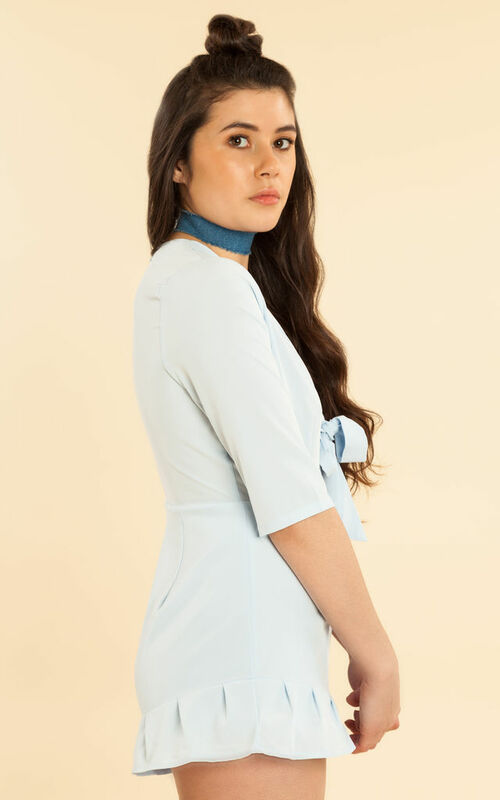 Blue playsuit with plunge neckline complete with a tie and ruffle detailing. 100% Polyester. Machine wash, do not tumble dry.